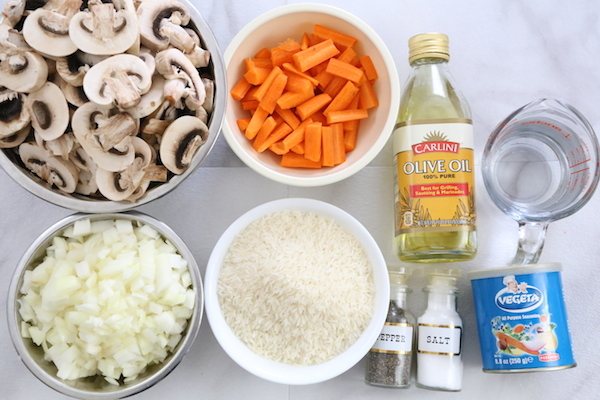 This is an Easy Rice Pilaf Recipe! 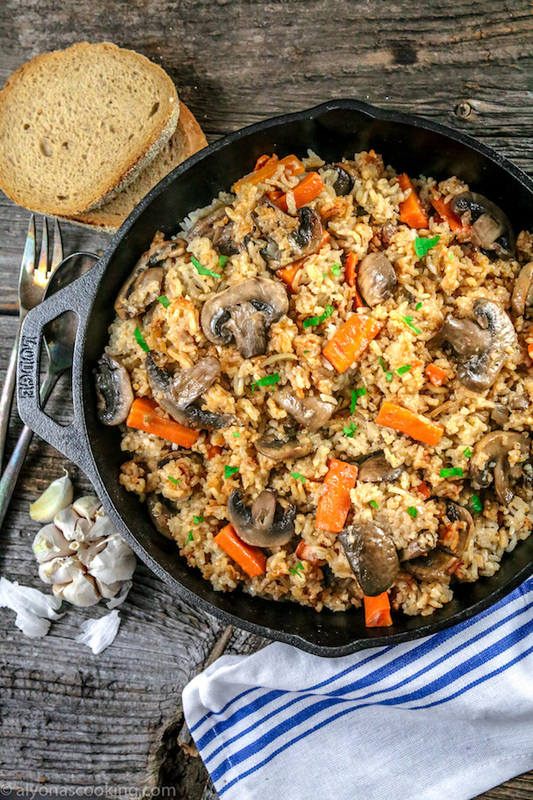 Made in one-pot with rice and veggies (and NO meat) this turns out so scrumptious you may want to add this easy rice pilaf recipe to your dinner rotation! I have been really liking the texture of jasmine rice lately; semi-sticky yet some what whole grainy rice makes for an amazing texture. 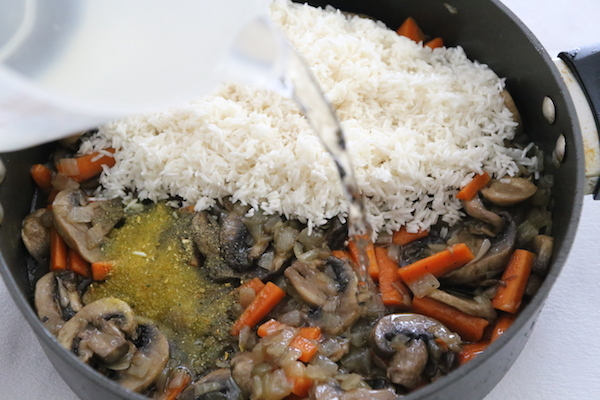 The key to a good textured rice is to be careful not to add too much water or over stirring hot steaming rice as that can result in a mushy mess. 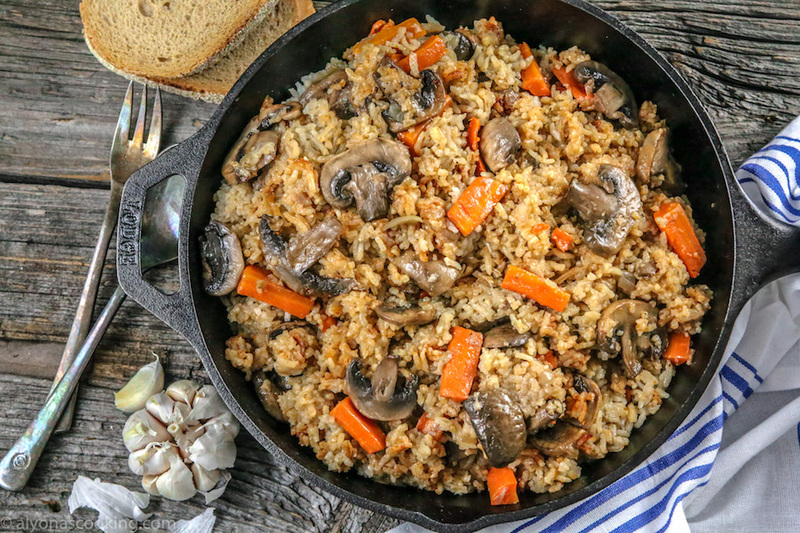 My mother-in-law happened to discover this easy rice pilaf recipe recipe from an old English cookbook and we have been making this tasty rice meal ever since. Believe me when I say the amount of oil is not overpowering. I was honestly intimated by the amount (1 cup) when I first discovered this recipe but after proven trials of this dish coming out delicious, that all disappeared. So no worries there is no oil residual taste what so-ever. I’m not sure what the oil does but this rice is super fluffy and delicious! 2. 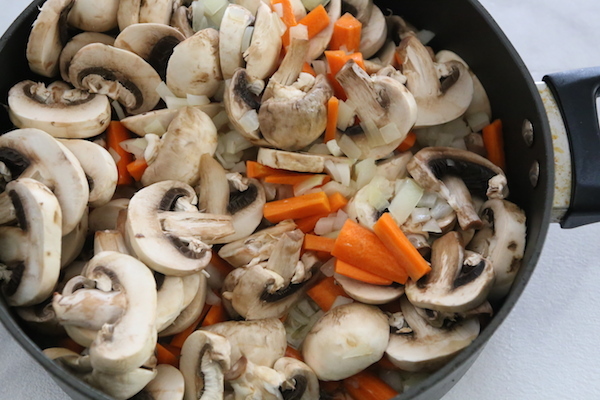 Once vegetables have browned add the rice, seasonings, and water; stir to combine and bring to a boil; then cover and reduce heat to low. Simmer mixture for 25 minutes. 3. Turn stove off and allow rice to steam a little (10 min.) Fluff up by using a fork, avoiding to stir. Once vegetables have browned add the rice, seasonings, and water; stir to combine and bring to a boil; then cover and reduce heat to low. Simmer mixture for 25 minutes. Turn stove off and allow rice to steam a little (10 min.) Fluff up by using a fork, avoiding to stir. Love this recipe! Great for fasting and tastes delicious! Thank you, I will be making it again for my family! oh nice, thank you for your feedback! The pictures are amazing, and looks delicious as well. 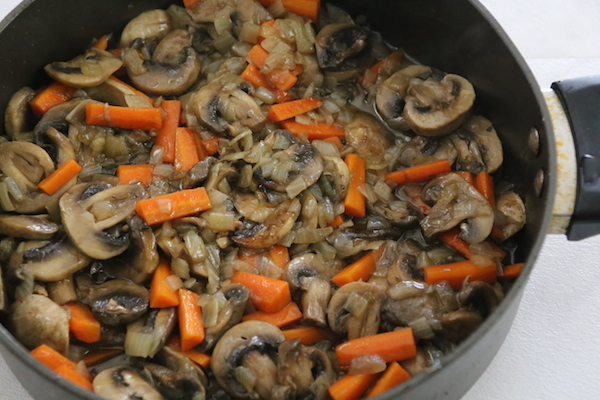 Mine is simmering… cant wait to try this vegeterian Plov! One question: do you add just raw rinsed rice or cooked? It really is a quick rice meal to prepare. Our family enjoys this one for sure (it’s been a re-make many of times.) Let me know how you like it, I would love too know your feedback.